Dry Ice Blasting will reduce downtime on machinery cleaning. This is a fact. No other form of cleaning will be as efficient as dry ice blast cleaning. We can clean your machinery whilst still in place and we can clean machinery whilst still online. 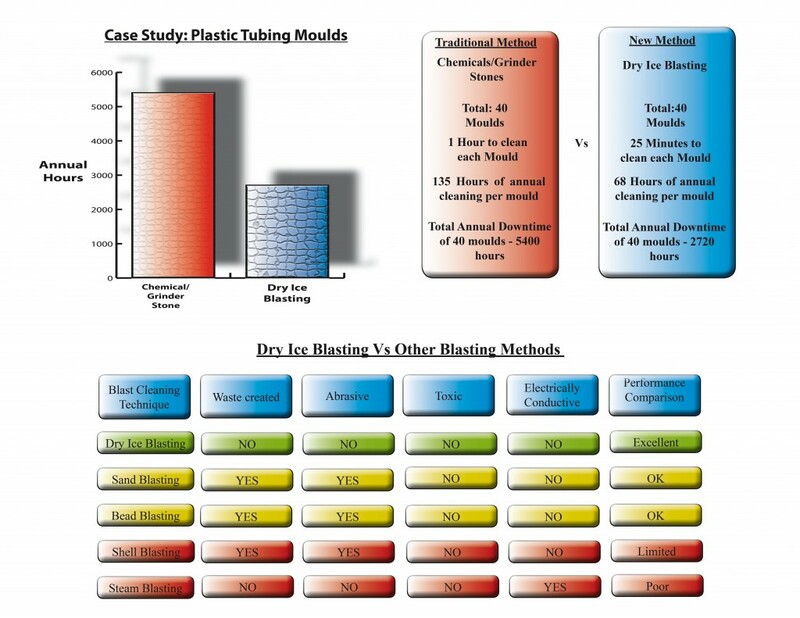 The chart below shows a recent example of how we are saving a component manufacturer money by saving them over 2500 hours per year in machinery cleaning time. The hour it takes to traditionally clean each mould doesn’t include dismantle and re assemble times. Dry Ice Blasting cleans the moulds in situ, no dismantle and no re assembly. 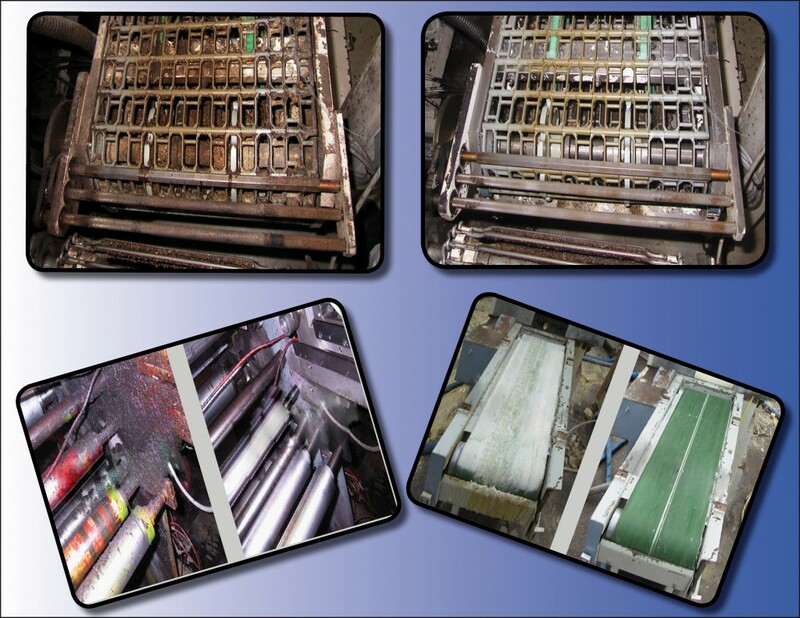 Production levels are directly increased as a result of shorter machinery downtime. This saving has been proved time and again in all industries where dry ice blasting is used. Dry Ice Blasting is completely non-toxic. No hazardous chemicals are used at all. The CO2 that makes the ice pellets is recycled from the energy sector creating a chain of sustainability not only for us, but for our customers too. Benefits over traditional blasting media. All staff are trained in Confined Space Working (City and Guilds 6150-52 low to medium risk) which enables us to offer Dry Ice Blasting solutions in the most challenging areas.